In all the excitement over Super Mario 3D Land and The Legend of Zelda: Skyward Sword, we almost forgot another iconic gaming character is due to return this Christmas. 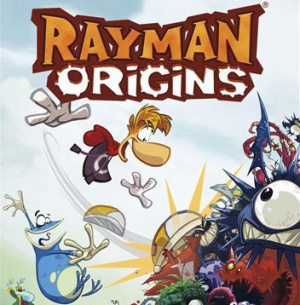 Rayman Origins on Wii and 3DS are both on the way before Christmas, and so it's time to learn a little more about them with a new trailer and a little Q&A with director Sebastien Morin, courtesy of Ubisoft. The trailer is taken from the HD versions of course, so keep those expectations in check. Will you be grabbing this game with both free-floating hands? How many different worlds and environments will we be able to get around? There are 5 universes and 10 different worlds to discover. Additionally, we have the Land of the Livid Dead, which is a bit hard to reach but is a whole new universe as well. At the beginning, each world is introduced one after the other. In each, you will gain a new ability and master how to use them. Then after you complete the first set of worlds, you've grown enough to be dropped in the wild. Just like that a whole new set of worlds are revealed and you have a lot of places to discover at your disposal. Will all these actions be available from the start, or will some of them be powers you unlock along the way? At any moment, we give you enough abilities to explore exhaustively each world. So if you feel like playing a level again and again to discover every nook and cranny, it's up to you. However, you won't have all your abilities right away. At the beginning of the game, Rayman and his gang are still incomplete heroes. They'll need to find and help the fairies to get all their powers back. Will running be an unlockable power too? As a Game Designer, an important question is "how do you make gameplay better?”. In Rayman, it could be answered by "chain a bunch of acrobatic moves together faster and faster". So it was natural to give this ability right away, for all the players that dare to run in a minefield. The best way to fly in the game would probably be riding on a mosquito. However, you’ll also learn quickly to glide. The glide ability allows you to fly in a number of different ways. At first it’s a very helpful tactic to extend a jump and land out of harm’s way. But we also put a lot of wind in the game, which can extend a glide to more of a flying action. But that’s not always a good thing. Winds are there to help or hinder you, push you to safety or towards a spikey death. Also, some enemies use the wind as traps and it should be noted that you’re not the only one who can fly! So many different moves must require a lot of different animations, how many are there in Origins compared to the first opus? Way more! 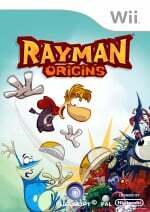 Rayman and his gang have a lot of new abilities, so there’s a lot more animation. Besides having all the animations for the abilities, you have to create more animations for combinations and transitions between those abilities you have. So each playable character has more than 250 animations! I can’t even begin to count the animations of the evil characters, because they can be defeated in a lot of funny ways. Been waiting since Summer. Gonna add this to my 3DS collection. Still think this looks very imprecise and sloppy... guess I'll just have to wait for a review, though. Are you sure that's footage from the HD versions? Something about that video looked really off compared to the previous ones I've seen...And is the 3DS version really coming out this year? Still no concrete European/American release-date?! Update: At the end of the trailer it says November 25. Does that also count for the European Wii version? Amazon and Gamestop (US) both have this listed as Nov. 15th, which is 2 weeks from today, so I'm thinking that has to be fairly concrete, though the video date of Nov. 25th looked pretty concrete as well. This - "Will you be grabbing this game with both free-floating hands?" plus this - "The trailer is taken from the HD versions of course,"
equals this - I'll be grabbing the HD version of course. Right after it drops to $9.98 on Target clearance, probably in February. This side scrolling platforming game is coming out the same time and at the same price as Rachet and Clank and Kirby''s Return to Dreamland yet unlike Machinarium it looks like it could fit the Wiiware 40mg limit. Should have stayed on XBLA and PSN for $15 where it began. Would like to pick this up later down the line, but they picked a bad month to release this in along with Cave Story, Mario 3D and Tales of the Abyss, and that's just 3DS games. This and Shinobi will be one's I look for in the January clearance sales.